Ten Top tips for shopping safely online! If you prefer to avoid busy shopping centres, queues, noise and stress, online shopping is the answer. You can grab absolute bargains without even leaving the sofa. But it pays to take precautions. 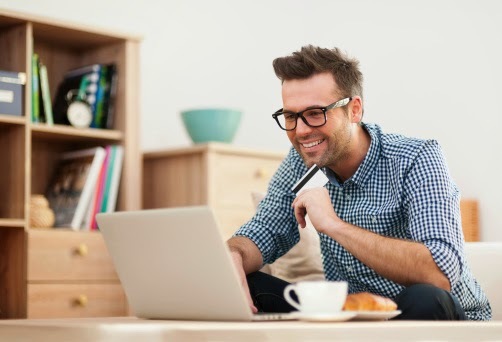 Below are 10 top tips on how to shop safely online. 1) Avoid clicking on links in emails when you want to visit a shop. Type the website address manually into the browser’s address bar, so you are sure that you will not be routed to a fake shop through a phishing link. 2) Look for the padlock icon in the browser and check that the URL (web address) starts with HTTPS to make sure the site is safe to visit. Bear in mind that the site may switch to HTTPS only when you begin the payment process. Look also for other logos that indicate the site has a secure payment provider and that all payment details are encrypted. 3) Look for the web shop’s contact information. Who runs the store and is it based in the UK? Is there a phone number, address, email address, etc.? On many fake online stores this information is non-existent, and if you cannot find it you should be wary. 4) Take some time to compare prices before buying a product. Use nextag.co.uk to ensure that you’re getting a good price. Just because the site claims to offer 50% off the RRP doesn’t mean it’s the cheapest around. 5) Save all receipts, order confirmations and other information in your email inbox or print them out. The more documentation you have on your purchase, the better placed you are if something goes wrong, such as the item not arriving, or arriving damaged. 6) Read the terms and conditions carefully. How long is the delivery time? Is it easy to return an item? Is VAT included, and is there an additional cost for shipping, which makes your purchase more expensive that you had expected? Some price comparison sites – particularly Google shopping – don’t check that the total price includes everything, so you may have to visit several sites to find the best price. 7) When you pay via your credit card online, you should consider using an additional security code, such as verified by Visa or Mastercard SecureCode. With these schemes you must enter a special code or certain letters from a password before the payment can be completed. This helps protect you if criminals steal your wallet, or your card details are somehow stolen online. 8) Make sure that you have an up-to-date antivirus and firewall program installed before you go shopping online. 9) Remember that you’re protected under the Sale of Goods Act and Distance Selling Regulations when you buy from UK-based websites. Foreign web shops may provide different protection or guarantees. Again, check the conditions before you pay. Normally, however, you always have the right to get your money back if you pay with a credit card and there’s a problem with your purchase. 10) Last but not least: in the final throws of online sales, discounts are often high. However be suspicious if a web shop promises 80 percent off expensive brands such as Ralph Lauren, Nike, Prada etc. If a price seems too good to be true, it’s probably because it is.